Naturally, I turned to grillmaster Bobby Flay for his help. Well, I didn’t ask him personally…but I was able to find the perfect cooking method from one of his recipes! I wanted these fries to be on the softer side so that the kids would be more apt to eat them, so I thought boiling would help. I will plan to make them again later this summer without boiling them first…just sticking the wedges straight on the grill. See which ones the kiddos prefer best! 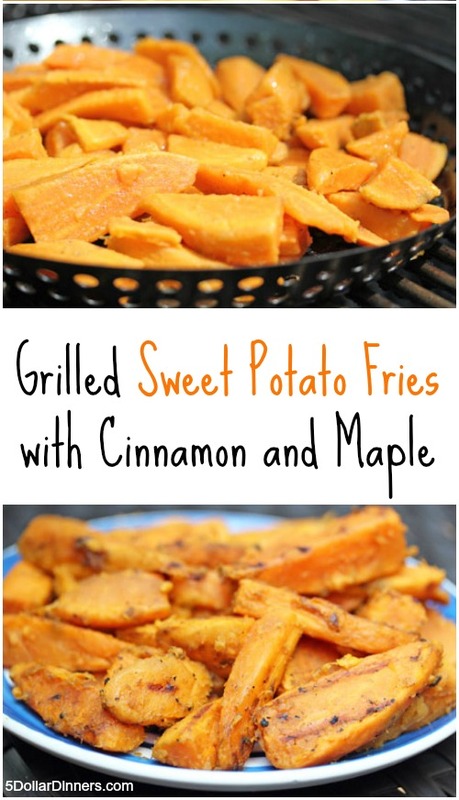 The smoky, delicious and “can we have these again tomorrow, mom” sweet potato fries! Peel. Lop off the ends if they are super skinny. Stand on flat end and slice off wedges. 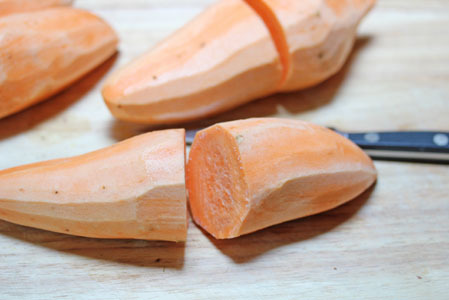 Take the pile of wedges and boil them in salted water for 4-5 minutes. 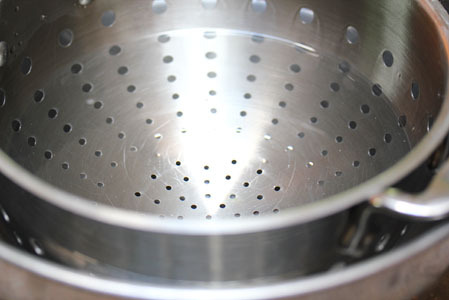 While boiling, set up a cold water dunking bowl with large bowl and colander. 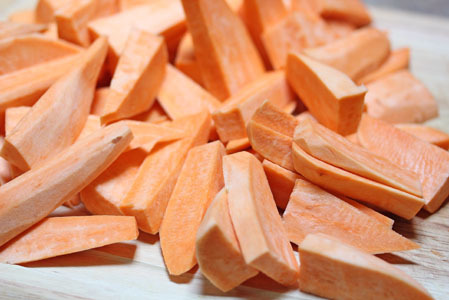 Once the sweet potato wedges have boiled for 4-5 minutes, drain them in the colander in the sink…then plunge them into the cold water. Let sit for 2-3 minutes. Meanwhile, whisk up the oil, maple syrup, cinnamon. 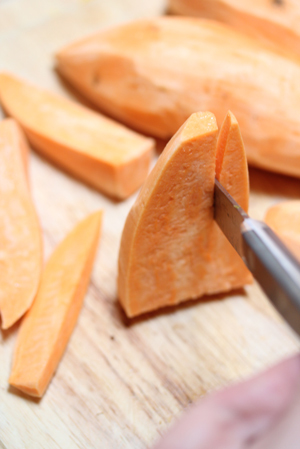 Remove the now cold wedges…dump out the water from the big bowl and give it a quick dry with a towel. 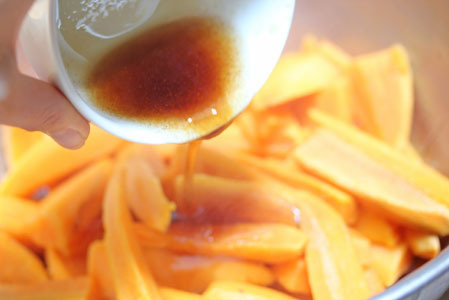 Return the wedges to the dry bowl and toss with the oil and maple mixture. Toss on the grill basket…or straight on the grill if the wedges are large enough to not fall through the cracks. Enjoy with your favorite burger, grilled chicken, steak, pork chop! 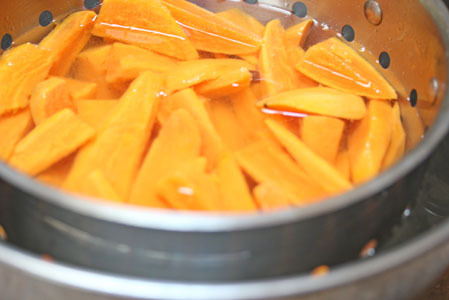 Boil the sweet potato wedges for 4-5 minutes in salted water. 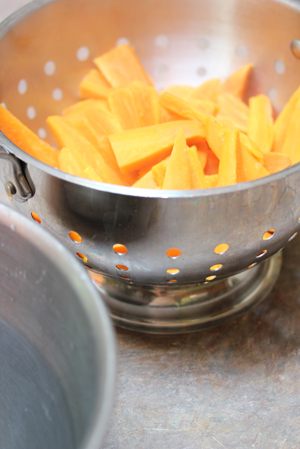 Drain them in a colander, then plunge them for a few minutes in cold water to halt the cooking process. 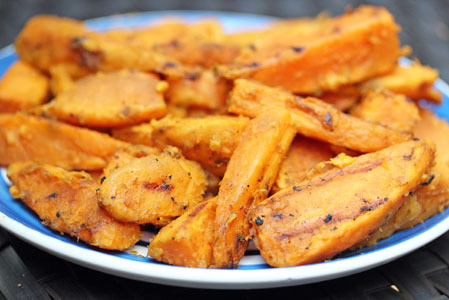 Add the now cooled sweet potato wedges to a bowl and toss with the oil/maple/cinnamon mixture. Sprinkle with a little kosher salt and pepper. Grill in a basket, or straight on the grill if the wedges are large enough, for 7-10 minutes, tossing every 3-4 minutes. Serve warm with favorite burger, chicken, steak or pork chop from the grill. How would you adapt this recipe for those of us who are grill-less? Great recipe with easy to follow directions. 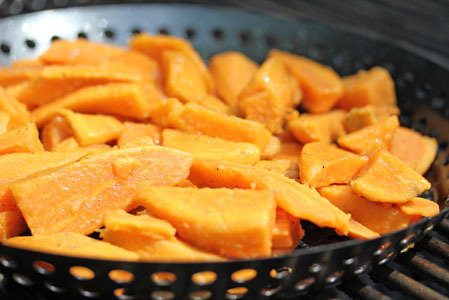 My family loves sweet potatoes and butternut squash, believe your recipe would work great for both. 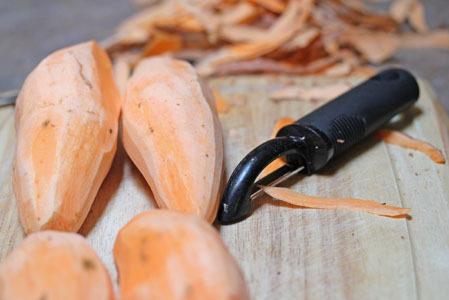 Thank you for the nice variation, can always use new ideas for cooking sweet potatoes… Nice photos too. These turned out great and pretty tasty, although I would have liked the texture to more crispy. 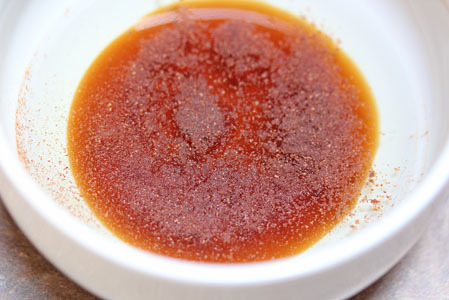 I subbed the maple syrup (did not have any) for molasses and added a touch of cayenne pepper. How could I have made them more crispy? extending up the sides. If no, then this article will completely guide you on making space cake.